With an ever careful eye on the evolution of the consumer and their desires, the Nolan Group noted a growing need to satisfy a new category of users. And this is precisely what led to the 1993 debut of the trademark Grex. 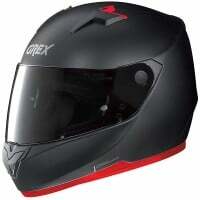 Grex aims to provide a complete offer within the Group trademarks, providing the perfect entry helmet for new riders. Bought this with a little trepidation having never heard of the brand before however have been pleasantly surprised. Feels like a quality product with thick paint coating. 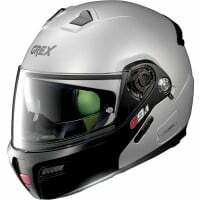 It's nice and light for a flip up helmet. 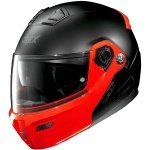 The Dual Homologation is critical as it means it's legally 'safe to ride' with the helmet up. Plenty of ventilation and the sun visor is first rate. It's quite noisy but then all flip up helmets are; good pair of ear plugs are necessary for preserving your hearing anyways! Disappointingly didn't come with a pinlock as originally advertised but SBS have been working to resolve this nice and quickly.